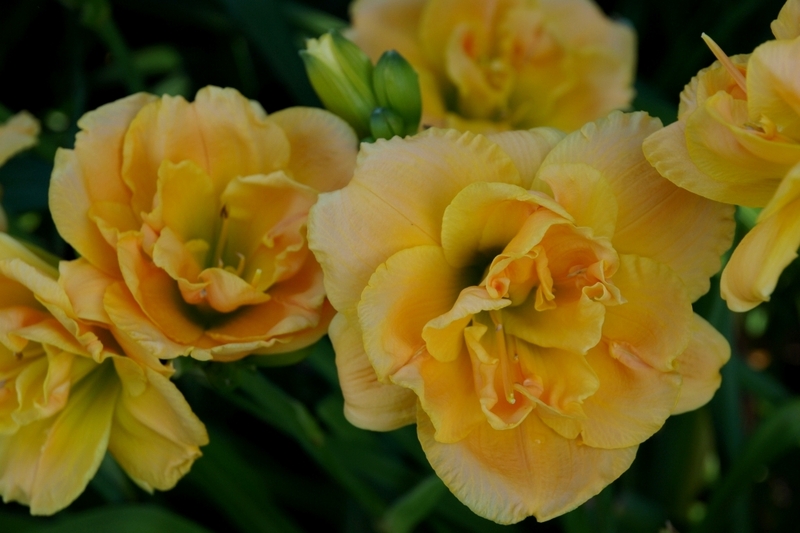 This polychrome yellow blend is one of the most beautiful daylilies in our garden. Dakota Sunshine is a smallish plant with a short 22" bloom scape, but the gorgeous fully double blooms make a huge visual impact. Then on top of it's visual beauty Dakota Sunshine is registered as Very Fragrant !